One can easily explore the interaction between their Chakras and natural world through crystals, gemstones, minerals and stones by choosing to spend time to investigate and notice. Each of the chakras can be cleared, aligned and balanced with the subtle energy qualities in crystals, gemstones, minerals and stones. Emotions that are natural and organic are influenced by blocked chakras described in this picture. One can choose to clear them using crystals, gemstones, minerals and stones and explore one or more of the following 9 ways to integrate them into ones experience to learn more about their compatibility of subtle energy vibrations. Going beyond just wearing fashionable or trendy jewelry into a conscious choice of deepening a connection with the subtle qualities of the stones and gems has benefits. These qualities can be explored with any piece or type of jewelry containing a piece to influence one of more chakras. When chosen it’s important to remember to wear it for a set time with the intention to notice any changes. This is an opportunity to become aware and learn the differences of a blocked and unblocked chakra in ones daily life. It is also the start of integrating these treasures into your day-to-day life with more creatively. Identify the emotions that you are experiencing. Name the chakra these emotions are governed by. Choose crystals, gemstones, minerals and stones that will subtle being to support clearing blockages that may be activating or heighten these emotions. Commit to a set time for wearing piece. Check in at the time you have set to notice any shifts. Stones subtle energies can become overwhelmed and need cleansing too! Read recommendation below for cleaning and setting an intention with jewelry. Imagine jewelry as store-bought veggies and how many hands have touched them before buying them off the shelf yourself. Remember to cleanse any new jewelry and to set intentions afterwards. Wearing a pouch is usually a longer-time commitment with an intention to develop and integrate their subtle energies. When wearing a pouch it is important to remind one-self to periodically check in to this intention to notice if it is still relevant. As in #1 it is recommended to choose specific times to check back in to notice any differences in one’s experience. Stones subtle energies can become overwhelmed and need cleansing too! Read recommendation below for cleaning and setting an intention with your jewelry. Imagine your pouch stones becoming overwhelmed after long periods of time. Remember to cleanse them periodically and set new intentions after each cleansing. Placing stones in your environment can become a visual point to focus ones attention or their subtle energies can be supportive. An example is the amethyst used for collecting negative energies. Stones can be positioned in areas where one spends time for the most benefits. Stones subtle energies can become overwhelmed and need cleansing too! Read recommendation below for cleaning and setting an intention. Placing one or more stones in your daily bottle of water influences the water with their subtle energies much like the crystals studied be Dr. Emoto, Author of Messages of the Water. Placing a stone nearby or holding one while meditating on one Chakra can benefit the clearing, balance and alignment of that Chakra. A bracelet with 108 stones called a mala bracelet used in meditation and prayer can include a set of 7 types of Chakra stones as a reminder to ones devotion. Placing stones on the Chakra points can be rejuvenating and healing. It is a deeper way of balancing and cleansing ones Chakras. If professional session ensure stones subtle energies have been cleansed between clients. Placing the stones on a body map and sliding it under ones mattress can support a deeper and restful sleep with deeper dreams reflecting ones needs for awakening consciousness. An example is when dreaming with stones the current quest one is focused upon will be influenced by the stones. It is an opportunity for a deeper clearing and alignment by balancing emotions and memories creating more peacefulness and harmony. 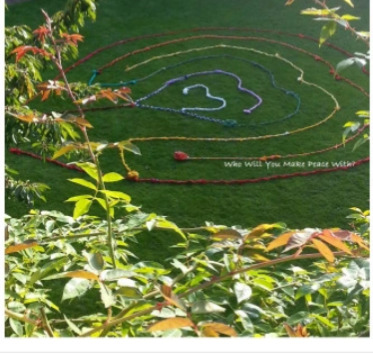 A Chakra labyrinth is a nice way to clear ones Chakras and tune into their subtle energies. Deepen this intention by adding stones along the circuits that reflect the seven Chakras. Then as one meanders around the Labyrinth circuits creating the pathway the stones subtle energies can be a focused reminder and supportive. Combining crystal bowls sounds of various tones can align individual chakras and be cleansing. Explore the relationship between your chakras and your crystals, gemstones, minerals and stones by choosing a chakra and finding crystals, gemstones, minerals and stones that have a matching supportive subtle energy vibration. The third step is to clean your stones and set an intention for them. 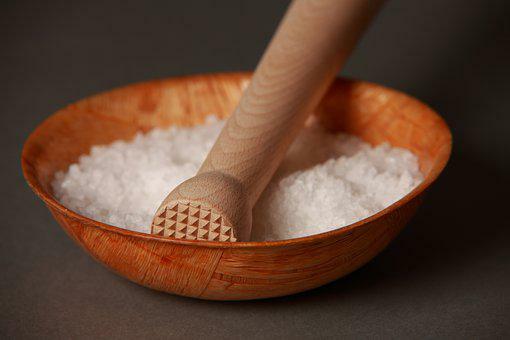 You can use sea salt in water to clean you stones. As you hold your stones in your hand to rinse them in fresh water set an intention or purpose for how you hope to work with these stones.